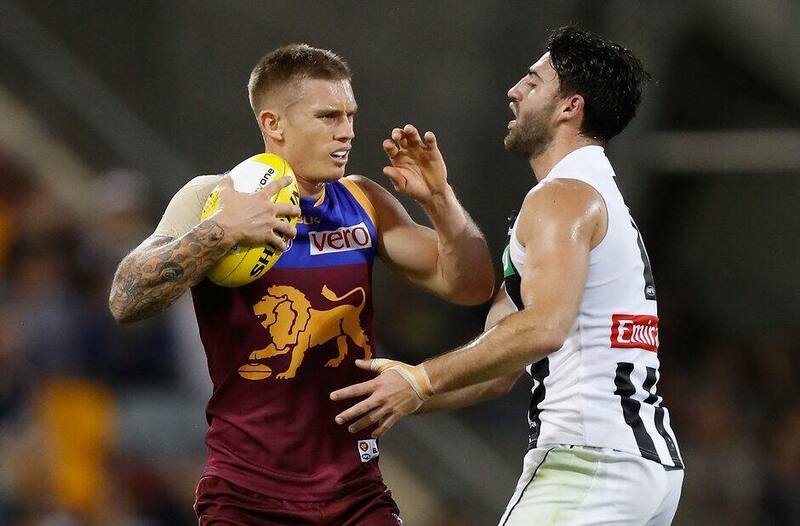 Can Dayne Beams regain the form that made him a star of the competition? There is a bit of the unknown about the Lions this year after a big reshuffle in the coach's box. Player roles and game plans are sure to be shaken up by Chris Fagan and his team, but what does this means from a Fantasy perspective? For most coaches, it will be vital to keep a close eye on the Lions' pre-season, and an ear to the ground for any whispers about youngsters set for a breakout season. Tom Rockliff (MID, $704,000) is coming off another monster season where he averaged 117 from 17 games. What makes that average even more impressive is that it includes two injury-affected games where he scored just 24 and 33. On the flipside, he showed that he is capable of superhuman performances like the 174, 179 and 184 he rolled out, which goes to show why he is the only player currently holding AFL Fantasy Pig status. There is slight concern regarding what the new coaching staff has in mind for his royal oinkness. Dayne Beams (MID, $519,000) is a superstar of the competition... when fit. Coming off just two games at an average of 86 in 2016, Beams is a bargain given he averaged over 100 in the five years leading up to last season, which included years of 108 and 116. Hugh McCluggage (FWD/MID, $246,000) is one of the most expensive first-year players but having the ability to throw him forward adds huge value. The Morrish medallist is widely expected to play plenty of games, possibly from round one. He is a gun, pay up. After being delisted by the Giants after just one game last year, Jake Barrett (MID, $150,000) has been picked up by the Lions which should result in a huge increase in opportunities for the young on baller. Obviously the Lions were looking at the same NEAFL numbers that excited us week to week before selecting Barrett in the rookie draft. Although Jarrod Berry's (DEF/MID, $218,000) junior numbers don't suggest he will be a huge scorer in his first year, he is bound to be a star and the Lions should be keen to get plenty of games into him. He ticks so many boxes to become a future star and from a Fantasy perspective, his eligibility as a defender is a handy tick. He was all the rage early last year, but Stefan Martin (RUC, $538,000) has dropped off the radar after reducing his 2015 average of 114 to 89 last year. You can certainly look at this from a glass half-full perspective given Stef finished the season with seven hundreds out of his last eight games… bargain? Jack Frost (DEF, $273,000) ticks a few boxes... new team, increased opportunities… well, at least we got to two boxes. Sorry Jack, we'll pass from a Fantasy perspective, but all the best at your new club.